As I was growing up I always helped my father who was a builder without his ticket, I knew at this early age I wanted to be a carpenter. As soon as my parents let me leave school I signed up to a pre trade course and have never looked back. 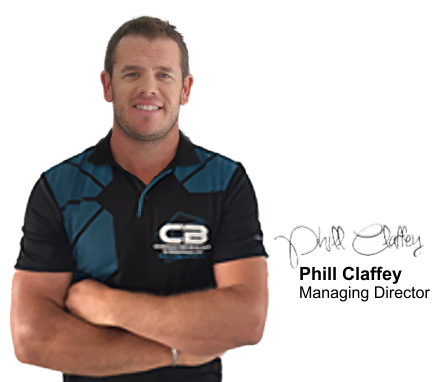 I carried out my apprenticeship in Gisborne, and obtained National Trade Certificate in Carpentry at the age of 20. I then departed for Dunedin spending two years working for a building company working on residential and commercial construction projects, also spending time working in the Cadbury chocolate factory (working and eating all the reject chocolate). I then moved to Wellington. Here I worked in the morning on large commercial sites before heading to Weltec to study for my Diploma of Construction Technology in the evenings. I gained my diploma, shortly after I broke my leg playing rugby league and headed back to Gisborne to recover. During the recovery of this injury is where the name Character Building originated. Once I was fit and back ready for work I started Character Building in 2005 starting out by myself doing a renovation for a friend, and the company grew from here. We now have four full time staff as well as myself, Penelope my wife who works in the office. I met Penelope shortly after starting my business we dated for a few years before Penelope and I took 7 months off to travel around Europe. When returning I popped the question and we got engaged and now have two beautiful children Maddison and Benjamin. Penelope works behind the sense keeping the office running, as the business grows she would like to get into interior design/ colour consultation. We have built over 30 new homes over the past 10 years, and carried out 12 large renovations. 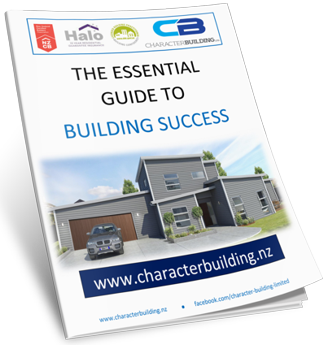 I understand that building your new home is the single biggest investment you will make, which can be stressful, confusing and overwhelming. I will guide you through the build process and take the stress and confusion out of the equation, as I will make it enjoyable and exciting. It gives me huge satisfaction to turn your dreams into reality and this is what has driven me to become a new build and renovation specialist. Our company now specialises in new homes and renovations, I have built three new homes for myself and know the enjoyment and satisfaction it gives a person to have a bare piece of land and within 6 months you have created your dream home for yourself and family. Penelope and I both see the company as a family business and incorporate family values into our business. The business supports the family and as the kids grow we would like them to be able to work in the business over their summer holidays - who knows, one day they might like to take the reins. We are in it for the long haul. Work hard play even harder is the philosophy I like to live by. If I am not doing jobs around the home, I will be found doing some sporting activity. I love to hunt deer whether it be in the hills around Gisborne, or further a field Stewart Island or Fiordland there is nothing better than going for a walk in open country side and taking in the fresh air and amazing scenery. It’s a bonus if I bring a deer home to feed the family. 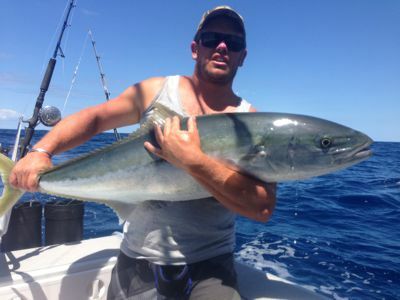 Fishing is another passion of mine, hapuka, blue nose, kingfish through the year but when game season comes round I spend hours bobbing round the ocean trying to hook a marlin or tuna.